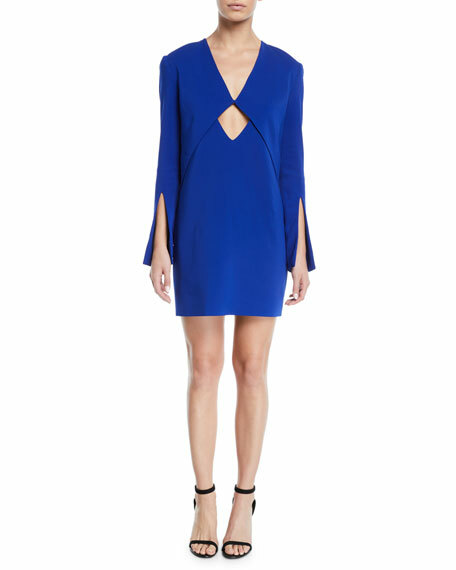 Dion Lee cocktail dress in stretch-cady. 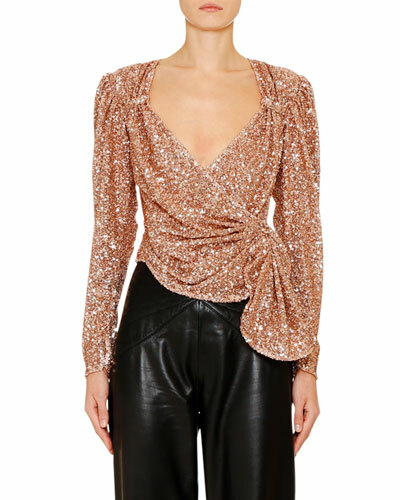 V neckline; cutout waist. Long sleeves; split cuffs. Shift silhouette. Hidden back zip. Mini length. Viscose/acetate/spandex. Lining, polyester. Imported. 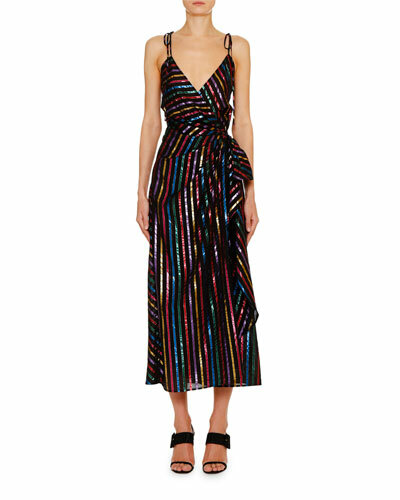 Nanette Lepore "Atlantis" striped dress. 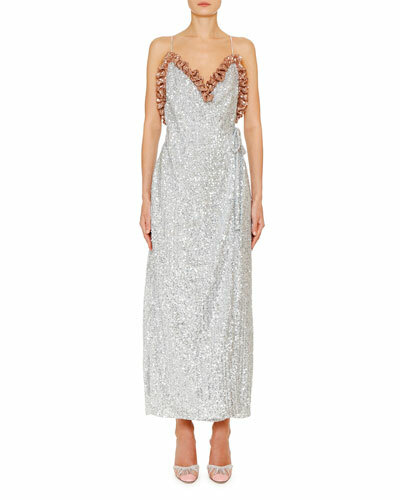 Semi-sweetheart neckline. Sleeveless; thin straps. Front cutout bodice. Sheath silhouette. Hidden back zip. Back vented hem. Mini length. Cotton/nylon/spandex. Dry clean. Made in USA of imported material. 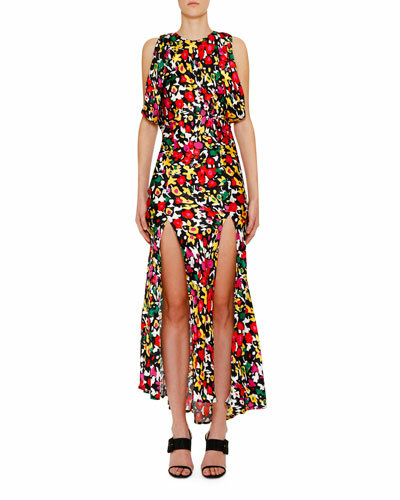 Proenza Schouler crepe daytime dress. V neckline with drawstring. Long sleeves. Horseshoe drawstring waist. A-line silhouette. Slipover style. Flared hem. Knee-length. Mini length. Acetate/polyester. Lining, viscose. Imported.